If you wonder why the Tide has opened the season the last few years on the road one word: recruiting. It's no secret that Nick Saban and his staff have made a lot of progress in recruiting over in the state of Georgia by opening their season in the Georgia Dome over the past several years, and now they are trying to do the same thing in the state of Texas. By playing in Dallas the Tide not only gets national television exposure, but it opens the door to recruiting in Texas. 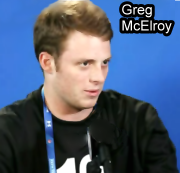 When the Tide played in the Cotton Bowl a few years ago against Mike Leach and Texas Tech, a certain young quarterback who was at the time a Texas Tech recruit say that game; that recruit was Greg McElroy. McElroy was so impressed with the Tide, that he of course changed his commitment and ended up in Tuscaloosa. Now other coaches are taking Saban's lead and opening up on the road so they can garner attention from recruits as well. And the Sabanization of college football continues.